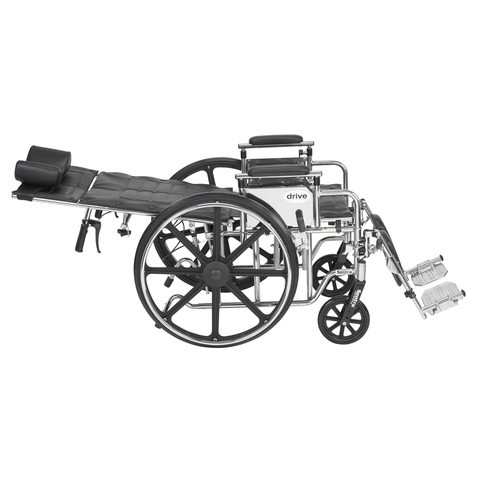 The Reclining Wheelchair has a reclining back rest up to 165° and elevating leg rests up to 180°. 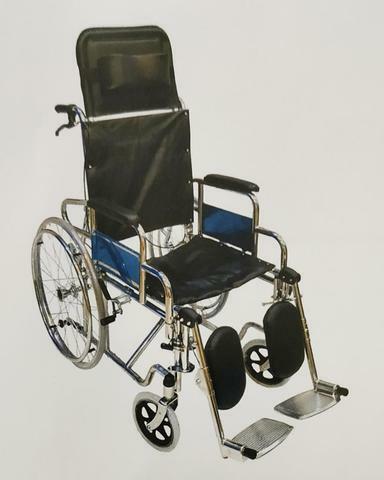 Both functions helps provide multiple positioning for the user, which relieves pressure and prevents sore spots and muscle aches, especially for those with severe paralysis. 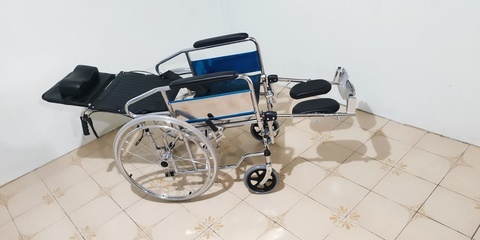 The Reclining Wheelchair is most commonly used by the elderly or users with spinal cord injuries, head injuries, or muscle diseases. 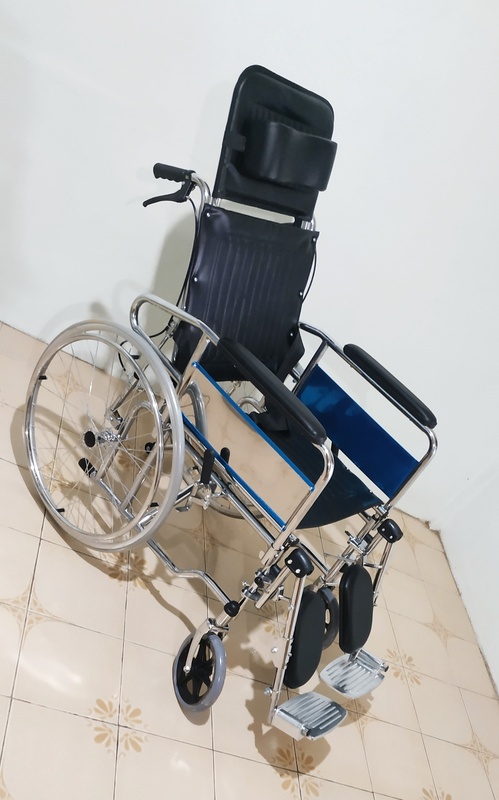 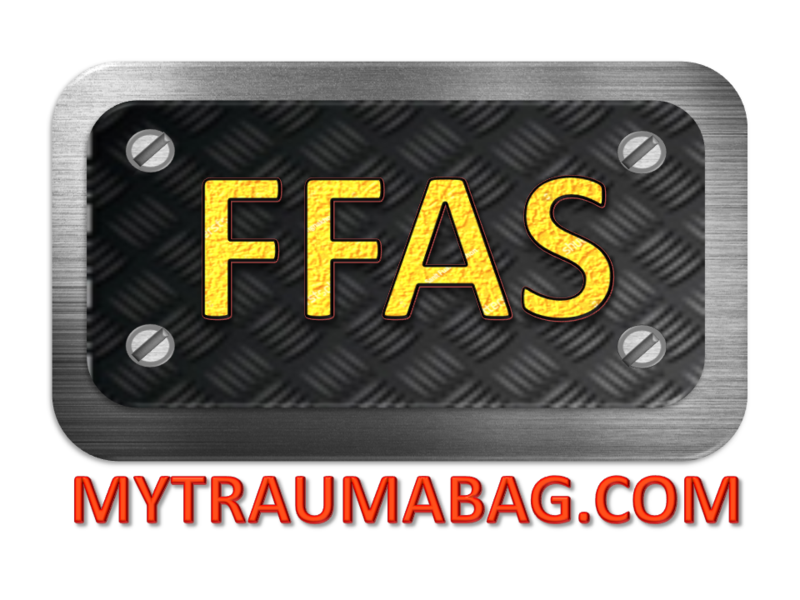 It also has easy to detach armrests, footrests and headrest making it easy to store away if needed and due to its lightweight frame it can be easily transported.